Great post - I love your descriptions of choosing the next book, hoping that it'll be THE ONE! Like you, I loved The Road - it was among my top 5 reads in 2013. Awesome. I hope you do get them, and read them, and love them, and share your thoughts on them! 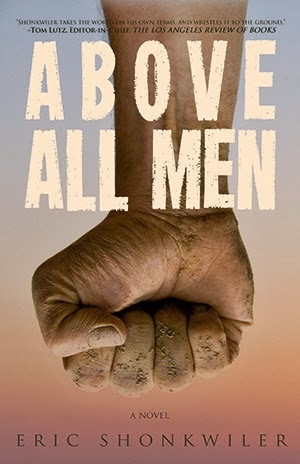 For anyone interested in securing a copy of Above All Men for the pre-order sale, you can reserve a copy right now for only $1 down, which gives you 20% off the cover price in print or digital formats at the book's release: http://midwestgothic.com/2011/01/above-all-men-by-eric-shonkwiler/. ♥ I second everything in this review, and MG Press makes incredible books, so take advantage of the great sale on the press' website!